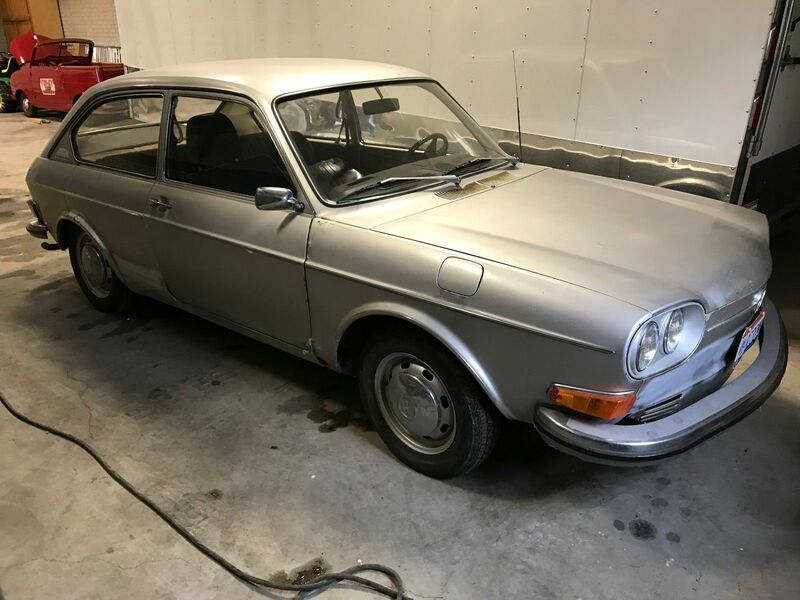 I'm as skeptical as the next guy about sellers claims of rarity, but I have to admit that I don't think I've seen a Volkswagen 411 on the road in the past decade or so. Rare when new and rare today are two totally different things, but this next car is certainly something you don't see driving around much nowadays. Perhaps there is a good reason for it...but that shouldn't stop you from buying one of the 367,000 examples that left the factory between 1968 and 1974. 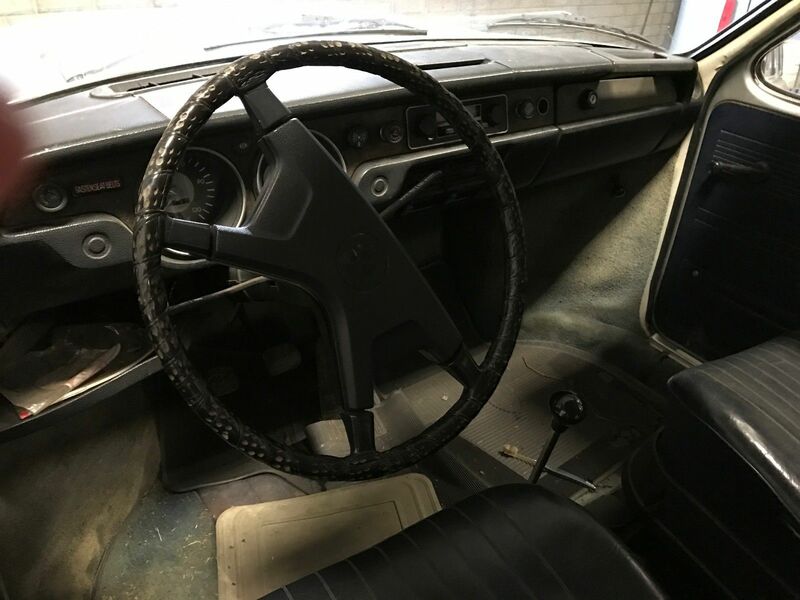 Find this 1972 Volkswagen 411 here on eBay bidding for $2,300 with 2 days to go, located in McConnelsville, OH. The Type 4 was a fastback 2-door or 4-door machine that shared some similar Beetle layout (rear engine, rear-wheel-drive) with the Type 3 Fastback/Squareback/Notchback...but it offered more interior space and a larger engine. Somewhere tucked behind the rear passenger's seat is a 1679cc aircooled flat-4 that was not available in lesser VeeDubs and produced something around 80 horsepower into those skinny rear wheels. Expert handling to be somewhere between Beetle and Bus. "Expect handling to be somewhere between Beetle and Bus." Yeah... pretty much. Maybe more towards the bus. Cornering in one of these always was an adventure. You point that long nose in the general direction of where you want to go and the heavy rear end will kind of push you that way. Eventually. I think I remember they were the first car to plug in to diagnose. A few were in our shop with wiring problems early on. That Crosley in the background looks cool. This area of Ohio has some of the best roads anywhere for white knuckle speed. Somehow, I look at this and think about how the 411 is genetically linked to the original Beetle in the same way that the Panamera is genetically linked to the 911. In the minds of the engineers involved, they'd reached the pinnacle of that layout/shape. 1975 was a much better year for VW than 1974; mainly because it didn't contain the 411 or 412! These were hideous in every respect. Some things make sense on paper, but make no sense in the real world. Ask the guys at AMC who designed the Pacer. Trying to sell both of them was painful. Thanks for renewing my shame. I actually have always kinda wanted one of these. Build a nice big 2.1-2.2L Type 4 with 115hp+, freshen up the suspension. Would make a nice cruiser. 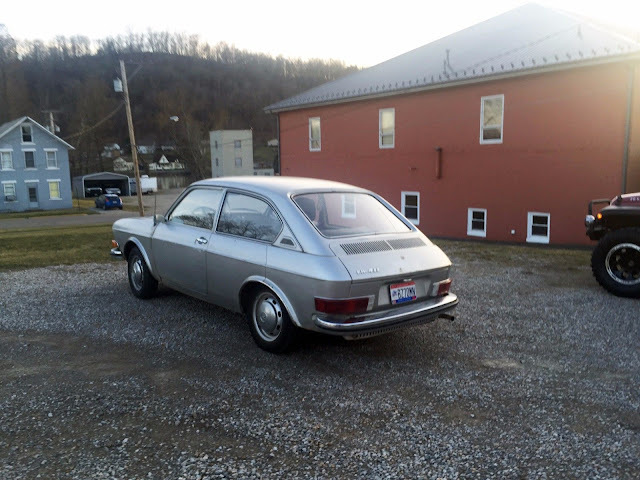 I owned a 1972 VW 411 2-door. What is to complain about? The same engine as a Porsche 914. Standard transmission with a tall gear shift. Gas heater, huge front trunk with spare tire as protection from a frontal crash. German engineering. I want to but one NOW.